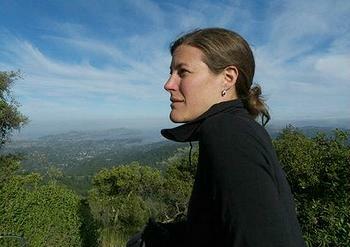 SAN FRANCISCO, California, December 28, 2012 (ENS) – Rainforest Action Network and its members are mourning the sudden loss of Executive Director Rebecca Tarbotton, who died Wednesday on a beach in Mexico north of Puerto Vallarta while vacationing with her husband and friends. The coroner declared the cause of death as asphyxiation from water she breathed in while swimming. She was 39 years old. As the first woman to lead the 25-year-old Rainforest Action Network, Tarbotton achieved victories in preserving endangered rainforests and the rights of their indigenous inhabitants. Most recently, Tarbotton helped to forge a landmark policy by entertainment giant Disney that is set to transform the way the company purchases and uses paper. Tarbotton focused her efforts on inspiring people to work for transformational social and environmental change, and pushing the country’s biggest corporate polluters to reform their ways. Tarbotton took the helm of RAN as executive director in August 2010. Prior to that she was the program director at RAN for one year and the head of the organization’s Energy and Finance program for two years. As RAN’s Global Finance Campaign Director, Tarbotton worked with some of the nation’s most powerful corporate executives to lead RAN to an important victory: the creation of a sector-wide bank policy statement known as the Carbon Principles. The policy put limits on the financing of new coal-fired power plants, creating a pivotal moment in the battle to curtail the construction of 200 planned new coal plants. “Becky was an emerging star who was galvanizing an ever-growing movement of people demanding environment and social change,” said Nell Greenberg, spokesperson for the Rainforest Action Network. “She believed that to protect forests and our communities we must protect our climate, and to protect our climate we must protect the forests,” said Greenberg. Tarbotton was born in Vancouver, British Columbia on July 30, 1973. She earned a bachelor’s degree from McGill University in Montreal and a Master’s Degree from the University of British Columbia. After college she interned with the David Suzuki Foundation, working on the first letter from Nobel Laureates warning of the dangers of inaction on global warming. She worked as an environmental researcher among indigenous communities on Baffin Island in Canada, and then spent eight years in Ladakh, northern India, working with local communities to support their traditional food and farming systems. She helped to build a local alliance of women farmers from a membership of seven women to 4,000 members. A commitment to community-led solutions drew Tarbotton to the UK, where she worked in the local food movement. Then Tarbotton moved to California where she joined the movement against genetically modified food. She took on the role of campaign coordinator for a state-wide coalition of farmer, consumer and advocacy groups working to stop the spread of genetically modified seeds in California, county by county. She was then recruited by Rainforest Action Network, where she was able to make even more progress in protecting the planet. The RAN staff, her friends and family remember a “force of nature” with an infectious laugh, adventurous spirit, and a heart bursting with love. Tarbotton is survived by her husband, Mateo Williford; her brothers Jesse and Cameron Tarbotton, and her mother, Mary Tarbotton, of Vancouver, British Columbia. Her ashes will be scattered in the waters off Hornby Island, British Columbia, where her family owns a cabin and where she spent much time with family and friends. Public memorial services will be held in San Francisco and in Vancouver. Dates are still to be determined. Click here for video of Rebecca Tarbotton.